We’re back from another successful Garden Expo hosted by Wisconsin Public Television at the Alliant Center Exhibition Hall this past weekend up in Madison, WI. Our booth was visited often and we were able to expose the gardens to a wide range of folks that have never been, haven’t been in awhile and certainly many active visitors and members as well. Special thanks to Kris, Sue, Polly, Gary, Layton, Kathy, John, Jackie, Ron, Bev, Pat, Pete, Larry, Amy, Nancy, Joe, Jim and Jody for helping out with the show. My five presentations seemed well received. We unpacked everything this morning and had a busy day at the Horticulture Center and out in the gardens. Larry H. and new Grumpy Dave went out to bring in lights from the gardens. Gary worked on some projects including labels and Kay processed some more Spring Plant Sale (Mother’s Day weekend!) seeds for our growers. Marv helped Larry unload the Garden Expo supplies and cleaned up/fertilized our indoor tropicals. Dave, Jim, Vern, Ron Y. and Bob K. continued progress on their carpentry projects. Dr. Gredler did a round of painting this morning too. We also saw Lois, Bill O. and many others today. 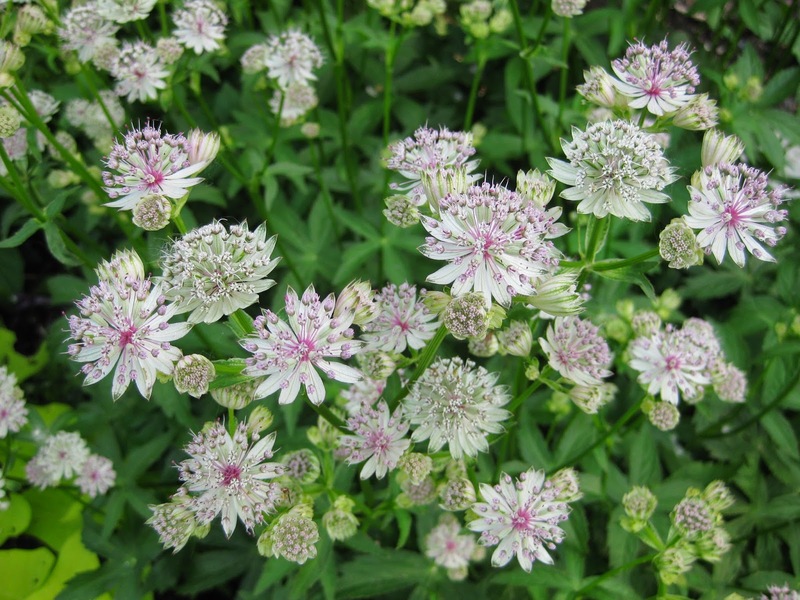 This blog is dedicated to what I feel is an entirely underutilized perennial. 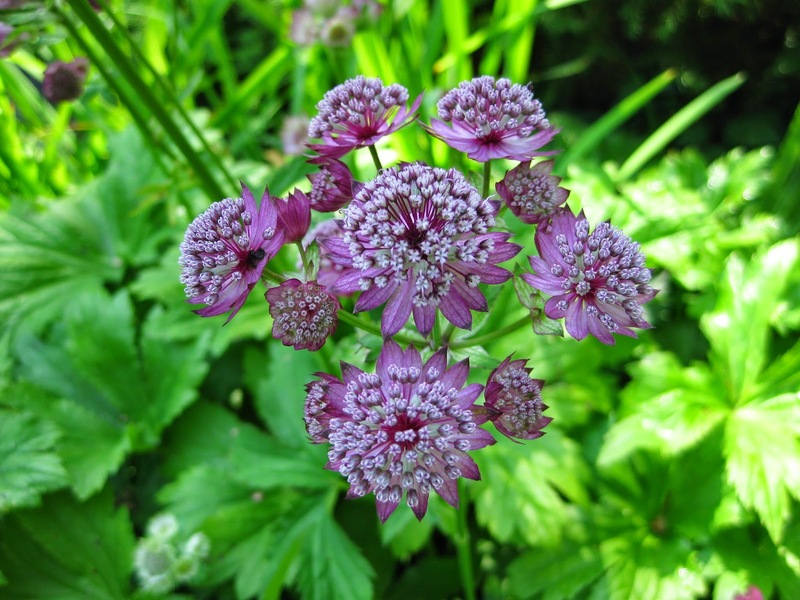 The masterwort (Astrantia major) is a tough perennial that is excellent in the full sun or part sun garden. 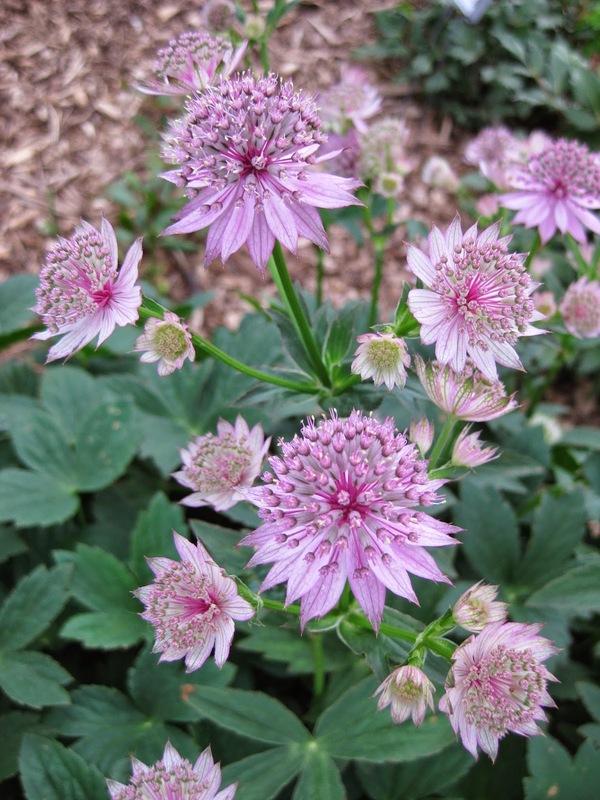 Above is the variety ‘Roma’ which is a nice shade of pink. 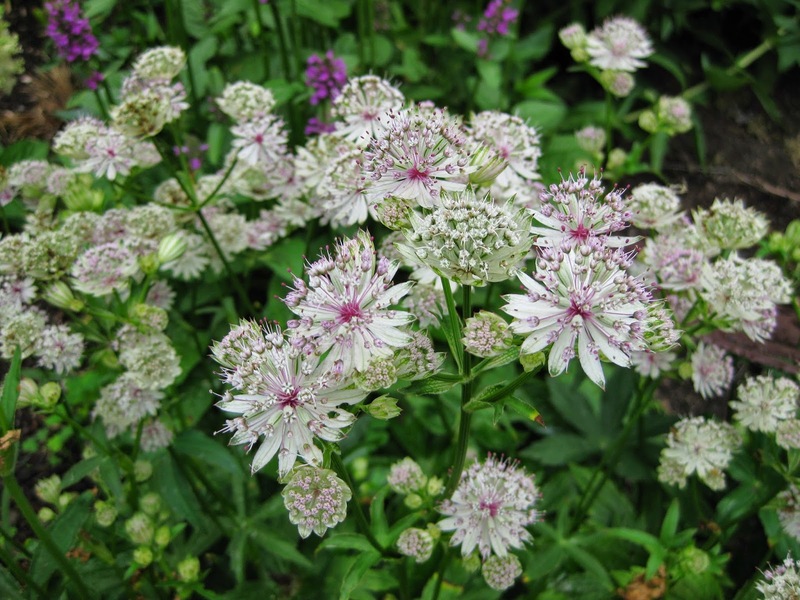 Native to Central and Eastern Europe, this perennial prefers rich, medium to wet soils and is a nice companion for Astilbe, ferns and hostas. Don’t put these in a dry location! 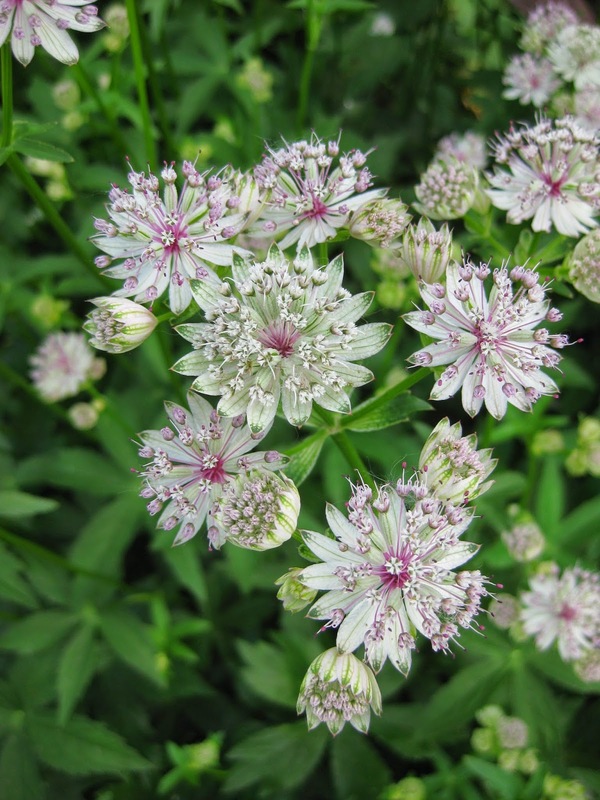 Reaching an average height of 24″ or so, this perennial features long-lasting, umbrella-shaped blooms that are quite exquisite. 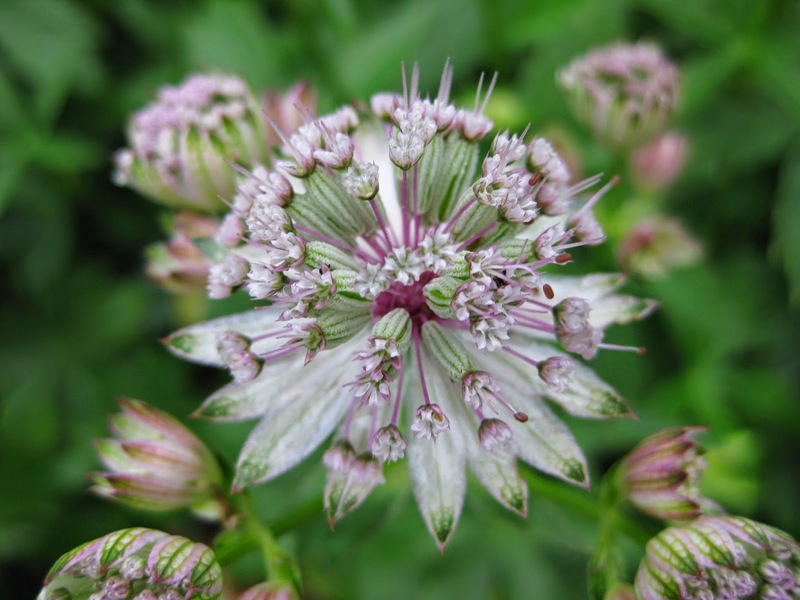 Flower color revolves around pink with some varieties bordering on purplish, whitish or reddish. 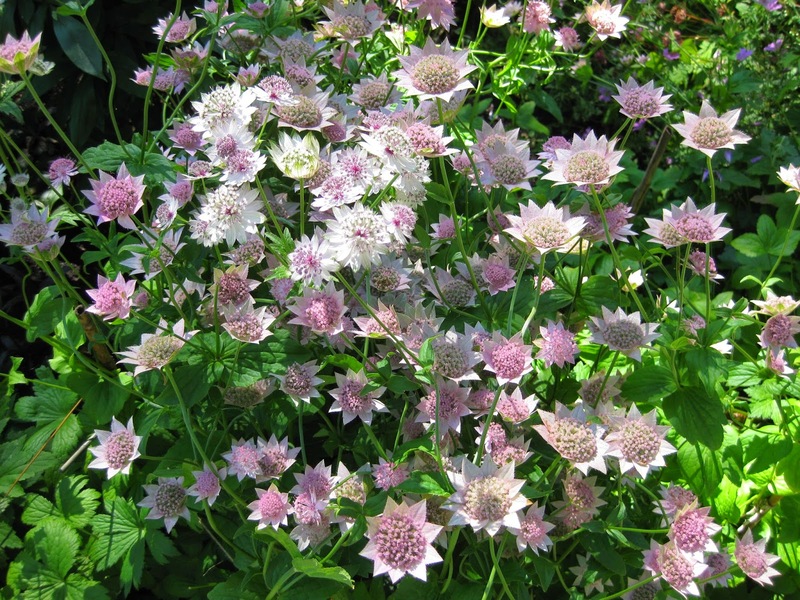 I like all the varieties including the variegated forms like ‘Sunningdale Variegated’ seen below and ‘Vanilla Gorilla’ at the bottom. 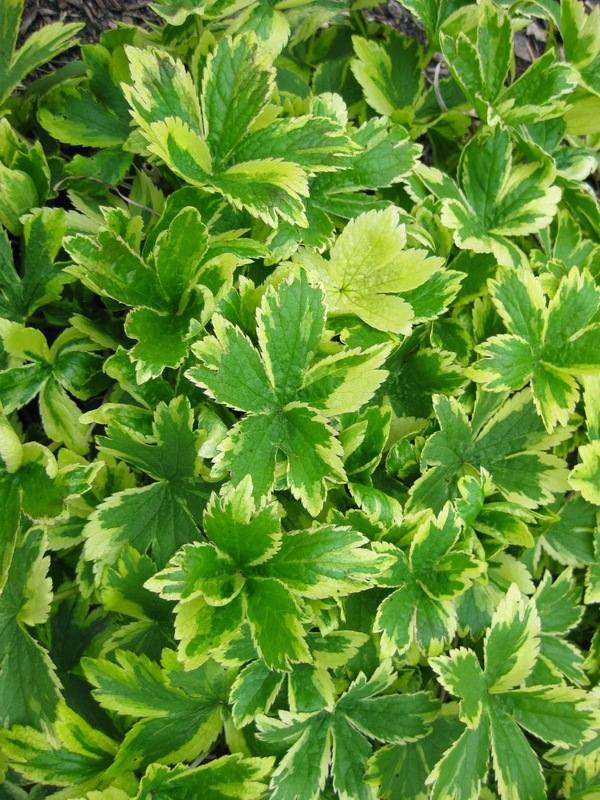 It is important to note that the variegated forms have strong variegation at spring emergence but the variegation fades and all but disappears by mid-summer. Some gardeners have mentioned some reseeding issues but we have yet to observe that trend. 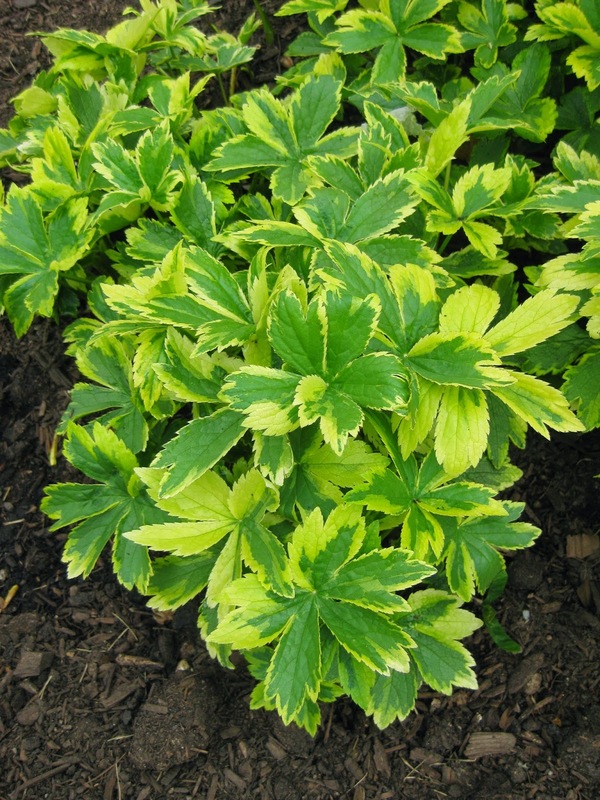 Put masterworts on your radar and consider adding them to your plant palette! 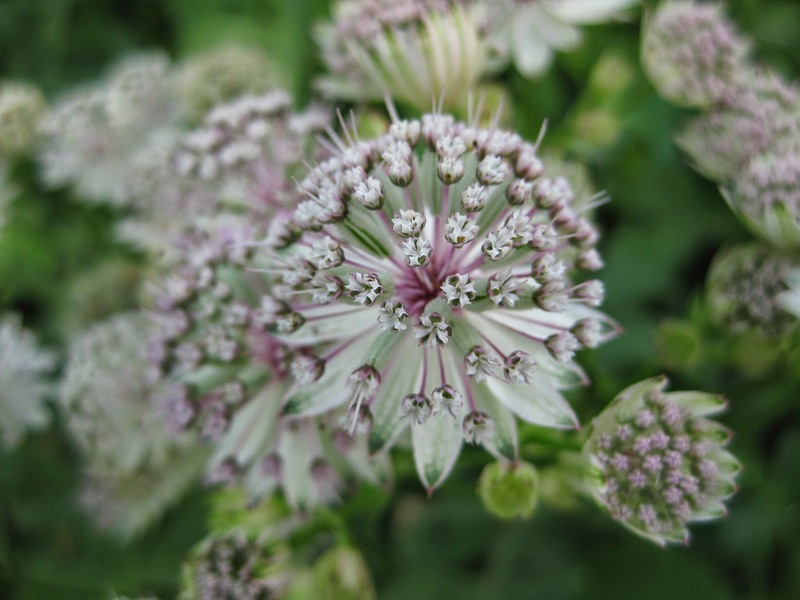 Many of the photos below are unknown varieties (unlabeled at the time of taking the photos) but represent some of the more common varieties with light pink coloration.